I’m always trying new recipes with my juicer, especially vegetable juices. 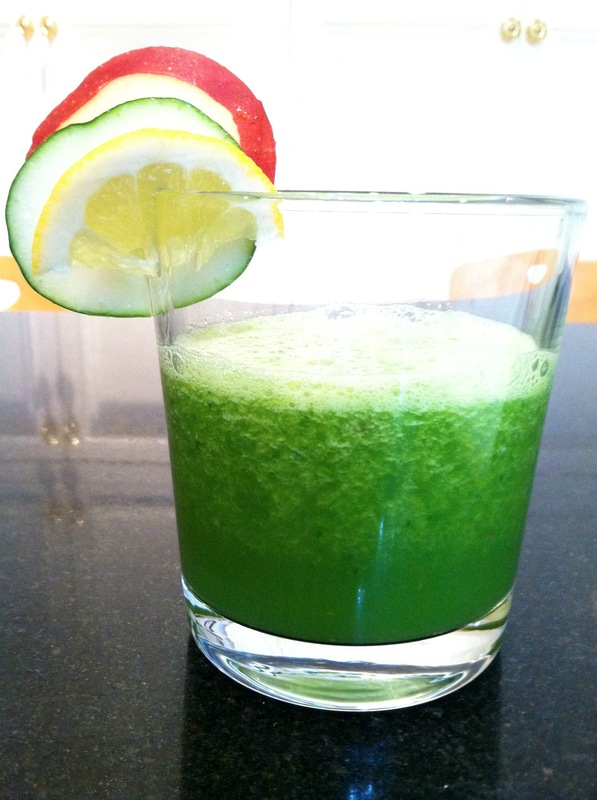 Today I made this apple cucumber spinach juice which is a delicious green juice that has got a little kick to it. The overriding flavors are the lemon and the ginger followed by the more subtle flavors of the apple, cucumber and spinach. This juice will provide you with a good amount of potassium, protein, vitamin A, vitamin C, calcium, copper, iron, and folate! Start by thoroughly washing your spinach to remove any dirt or grit that could be still on the leaves. Then carefully wash your cucumber, apple and lemon. Cut your cucumber and apple into smaller chunks so as to make your juicer happy. Then cut your lemon in half and remove the rind but leave on as much of the white as you can. Then cut a 1/2 inch piece of ginger root and remove the outer skin of that. I started by putting my ginger and lemon in the juicer followed by the cucumber chunks. By putting the ginger in first, you are getting as much of that ginger juice pushed through as possible. Then I added in the handful of spinach and followed that with the remaining apple. I followed the spinach with the apple in order to help the juicer process it because spinach can be hard on your juicer. Once everything has been processed and juiced, you’ll be left with one cup of this delicious apple cucumber spinach juice to enjoy! 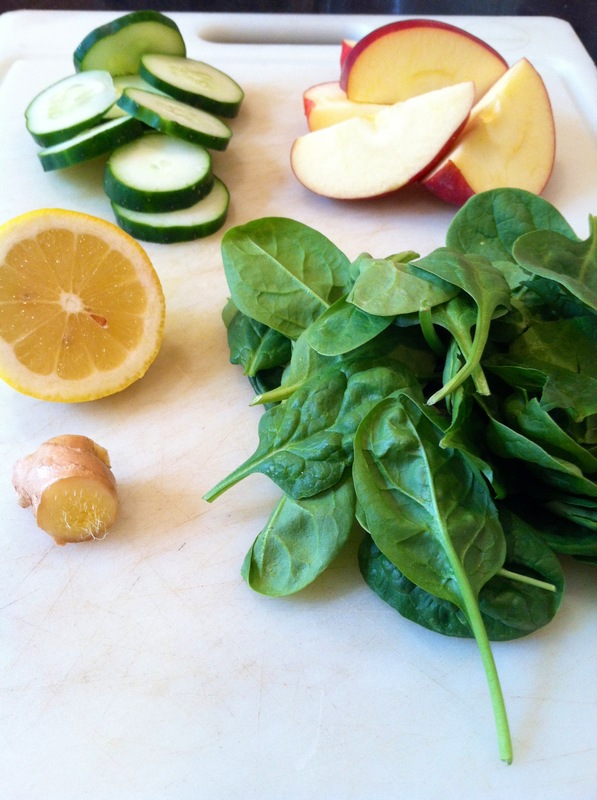 One cup of this apple cucumber spinach juice will give you 132 calories and 34 grams of your total carbohyrates. It will also give you 890 milligrams of potassium and 4 grams of protein. In terms of vitamins, you’ll be receiving 9% of your daily vitamin E, 17% of your daily vitamin B-6, 131% of your daily vitamin C, and 148% of your daily vitamin A. This apple cucumber spinach juice will also give you good amounts of 13 different minerals. Some of those include: 13% of your daily calcium, 17% of your daily copper, 17% of your daily iron, and 42% of your daily folate.